Cheers to you having an amazing winter vacation in Park City. Park City, Utah, is arguably most famous for hosting the Sundance Film Festival and the 2002 Winter Olympics. But beyond its rich history, this mining town turned ski mecca has plenty else to offer winter visitors. Don’t believe me? Take it from locals who live, work, and play in this mountain town— there’s more to Park City than celebrity sightings. We talked to locals who make Park City home year-round, and they helped us come up with 9 tips to make your winter getaway even better. Taking public transportation is an easy way to get around Park City. 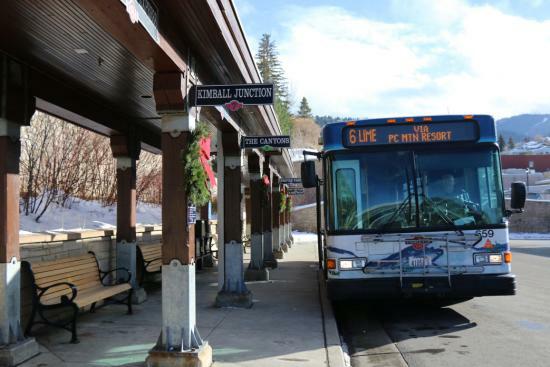 The best way to get around town is not a car, but Park City’s public transportation system. You’ll find it offers you easy access to the two ski areas as well as the town’s historic district and Kimball Junction without the worries of having to drive your car and find parking. 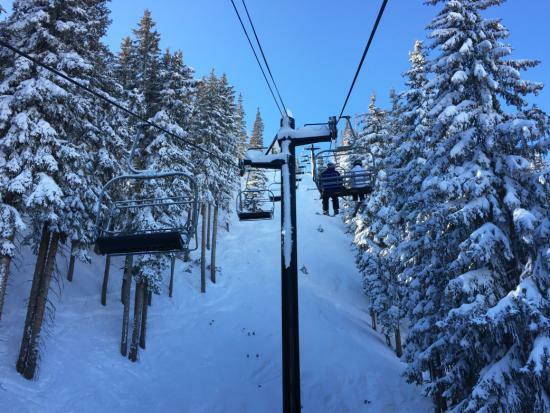 "The city bus is an incredibly well-run transportation operation, and it’s free," says Emily Summers, senior Communications Manager for Deer Valley Resort. Originally from Grand Haven, Michigan, she has lived in Park City since 2006. 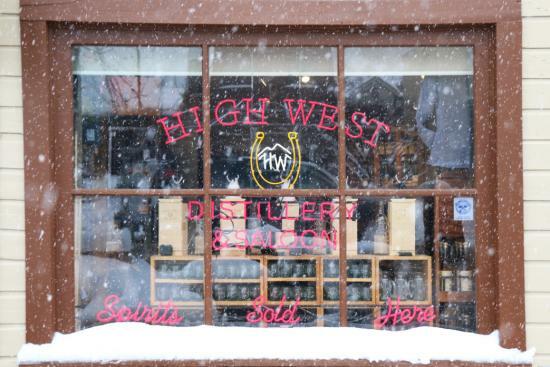 You can ski to the High West Distillery & Saloon in Park City. "We have amazing local breweries, distilleries, and wineries and there seem to be more every day," Summers says. “Don&apos;t visit without trying my favorite beer—Wasatch&apos;s Polygamy Porter (get it on Nitro).” For lovers of craft spirits, a visit to the world’s only ski-in distillery, High West, is a must. Try their bourbons, ryes, or vodkas, or one of their hot winter cocktails after a day on the slopes. Many tourists don’t know that High West’s larger production facility, in nearby Wanship, offers tours and tastings Wednesday-Sunday, as well as Sunday Brunch. Venture off Main Street to Ritual Chocolate Factory & Cafe, which makes bean-to-bar chocolate on-site, "You can watch the chocolate being made on antique machinery while you sip your mocha and eat delicious brownies," says Kelley Baker, co-founder and owner of Pink Elephant Coffee Roasters (another great foodie find, with a coffee shop inside the clothing store Prospect). For a glass of vino, Old Town Cellars creates wines blended to Park City tastes. “We source finished wine from the West Coast and re-blend the percentages and ratios to our palate on Main Street,” says Stephen Michael MacKay, the owner of Old Town Cellars. It’s the perfect spot for apres ski drinks and snacks—try the Mountain Town Red with the charcuterie plate. Walk around Park City and you’ll find lots of unique local establishments to enjoy a good meal or a relaxing drink. The tubing hill at Gorgoza Park. "Not only do we have two world-class ski resorts right in Park City, there’s also every other winter sport you can imagine," Summers says. Go cross-country skiing at the White Pine Touring Nordic Center, which features 20 kilometers of groomed trails. You’ll find terrain perfect for beginners, intermediate, and advanced skiers, with equipment rental available on-site. 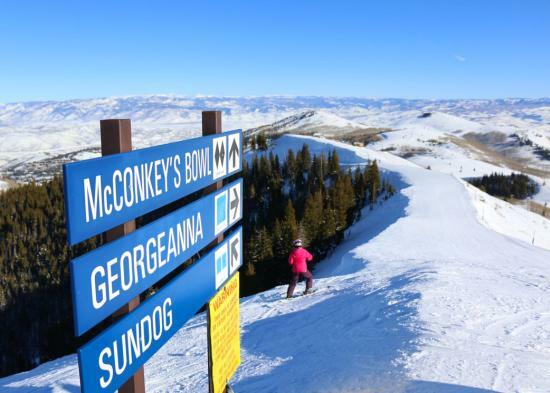 Explore the backcountry around Park City on a snowmobile or by dog sled. Enjoy an afternoon of ice skating at the outdoor rink at the base of Park City Mountain Resort. 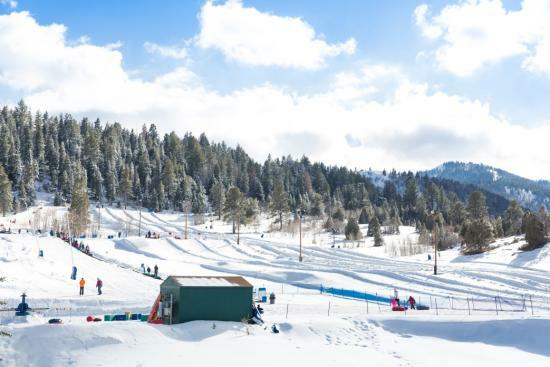 Try the lift-serviced tubing hill at Gorgoza Park, which also features mini snowmobiles for kids to ride. "Park City’s culinary scene is expanding and diversifying with a focus on local, seasonal ingredients," says Christa Graff, owner of Graff PR, who moved to Park City in 2003. “There are many new options open on or near Main Street like Harvest for breakfast, Riverhorse Provisions for gourmet grocery and deli eats, and Firewood for dinner. Taking a bobsled ride at Utah Olympic Park. One of the legacies of hosting the 2002 Winter Games is Utah Olympic Park, which hosted several of the competitions, including bobsled and luge. "It’s a destination in its own right," says Jayson Thiros, a ski and snowboard tech at Breeze Ski Rental. 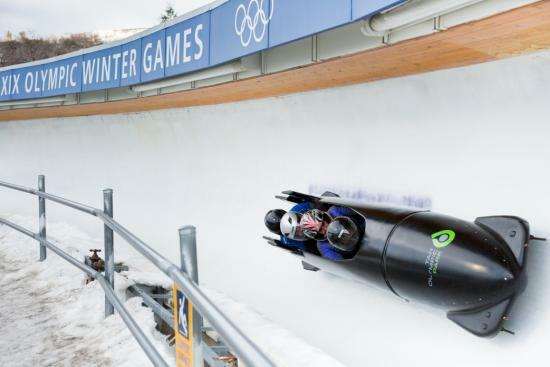 “Visitors can take the ride of their lives flying 60 miles an hour down the Olympic bobsled track, watch the U.S. Ski team train along with luge and skeleton athletes, and visit the two free museums (the Alf Engen Ski Museum and Eccles Salt Lake 2002 Olympic Winter Games Museum).” Don’t worry, the bobsled is piloted by an experienced veteran, but you’ll still get the thrill of descending down the track like an Olympian. Utah Olympic Park has a ropes and zipline course to explore year-round, as well. Take the time on your trip back up the mountain (like here on the Pioneer Lift at Park City Mountain Resort) to learn from the locals. "Make the most of your chairlift ride," says Jeff Petway, co-founder of Park City Brewery. “Start a conversation with locals and they’ll generally be happy to tell you where to go and what to do.” It’s in those conversations that you can discover something new about a place that isn’t in the tourism info. "Buy a Park Record upon arrival," says Marci Morse, a local property manager and Park City resident for more than 30 years. “This local newspaper is full of restaurant coupons, activity information, and event listings that enhance your trip and save you money.” You also can check out the two Visitor Information Centers in Park City. One is in Kimball Junction and the other is in the Park City Museum on Historic Main Street. Both have knowledgeable staff to answer any questions you have and offer suggestions. When traveling to Park City, buy your lift tickets in advance online to save money. Whether you’re skiing at Deer Valley Resort or Park City Mountain Resort, you can get your lift tickets ahead of time by buying them online. This not only saves you time, but money as well by getting a better price than walking up to the window. You can also save money on lessons and other mountain activities by purchasing them in advance. And don’t forget about restaurant reservations. Some of the popular spots can be booked solid, especially on a busy weekend. Make reservations in advance to be sure you get hit all the places on your wish list.